The Scottish Salmon Company (SSC) has been shortlisted in two categories of the Scottish Export Awards in recognition of its international growth and innovation. 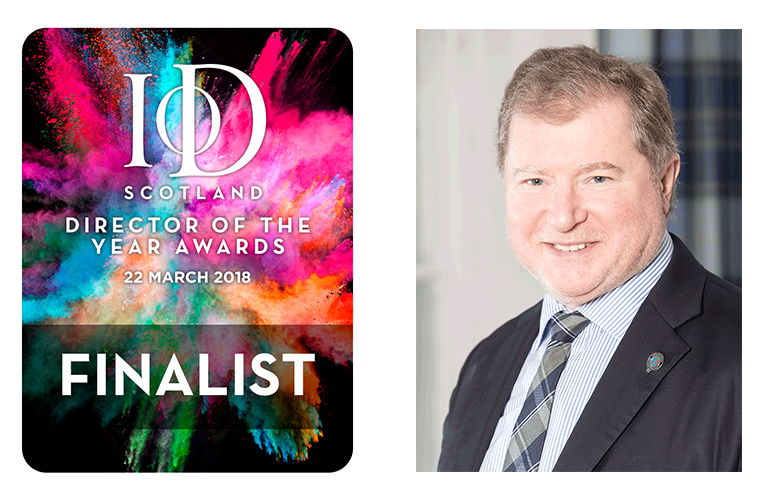 Its Chief Executive, Craig Anderson, has also been nominated in two categories at the prestigious Institute of Directors (IoD) Scotland Director of the Year Awards. SSC will compete in the Most Entrepreneurial Exporter of the Year and Large Exporter of the Year categories at the 2018 Scottish Export Awards in association with Scottish Enterprise and Highlands and Islands Enterprise. Mr Anderson is one of just 37 Scottish business leaders from 150 nominations to go through to the final stages of the IoD Scotland Director of the Year Awards which celebrate individuals’ business accomplishments in 2017. He is a finalist in the Director of the Year – Large Businesses and Regional Director of the Year – Edinburgh, Lothians and Borders categories. Welcoming the news of SSC’s shortlisting, Craig Anderson said: “To be shortlisted in two categories at this year’s Scottish Export Awards is great recognition of our commitment to provenance, innovation and exporting the finest, freshest Scottish salmon to consumers around the globe. The winners of both awards will be revealed at a separate ceremonies in Glasgow on Thursday 22 March.